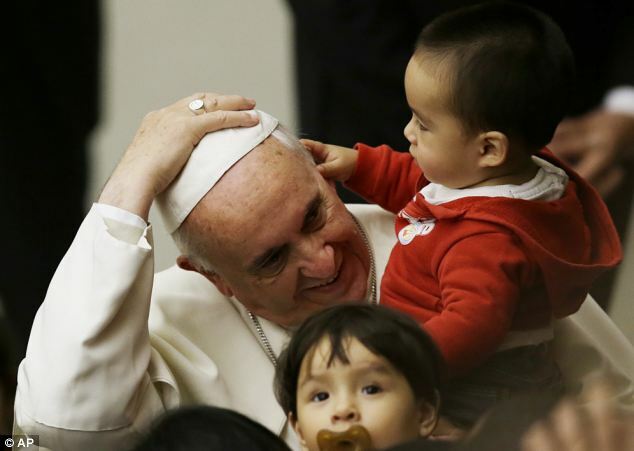 Children are curious souls – and this one was no exception during an encounter with Pope Francis. 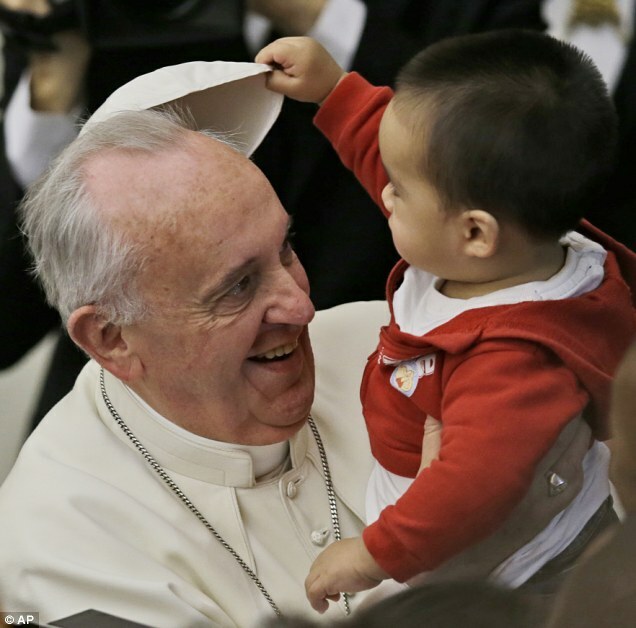 As the pontiff held the youngster in his arms while visiting a medical centre yesterday, the cheeky child took off his white zucchetto, or skullcap, at the Vatican. 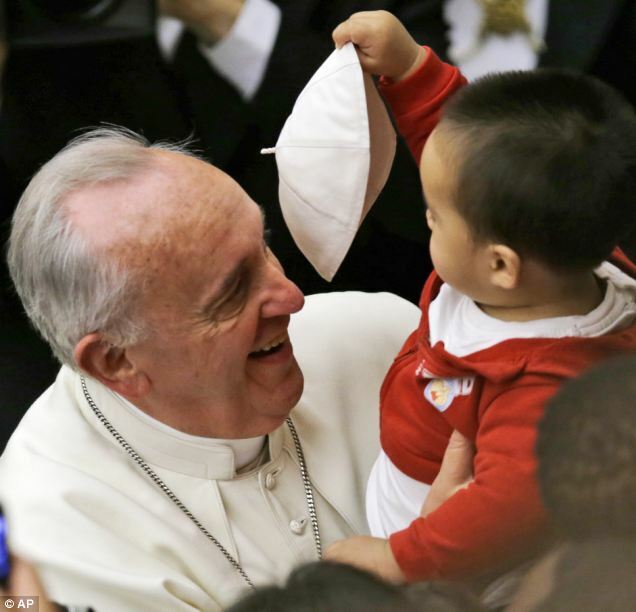 For a moment, it looked like the cap-snatcher had an amazing souvenir – but, with a smile, the leader of the Catholic Church retrieved his headwear and returned it to its rightful place. 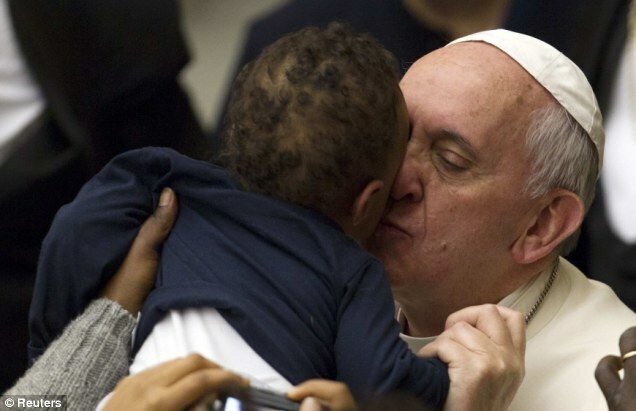 It was the second time that day that the Pope had a surprise. 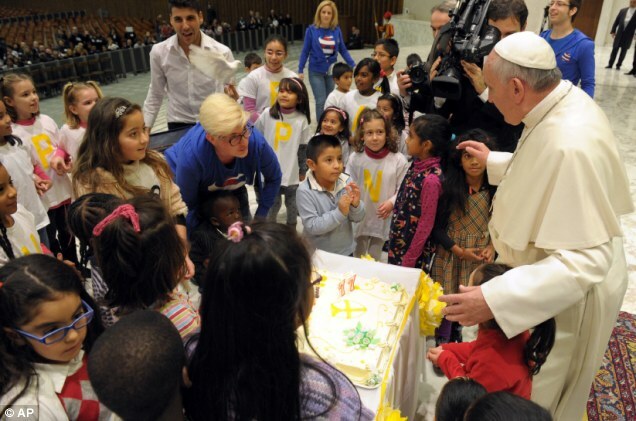 Earlier, he had received a candle-topped cake from the children, three days ahead of his 77th birthday. He was presented with the treat after touring the Santa Marta Institute, which provides paediatric care. For more than 90 years, the centre on the Vatican grounds has been distributing milk, clothing, nappies, toys and even baby carriages to families in need. 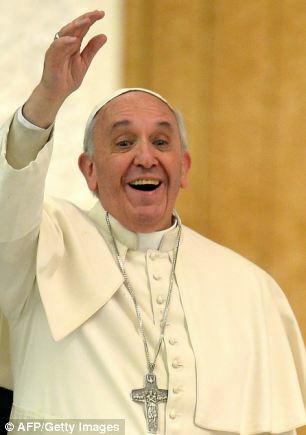 On Wednesday, Pope Francis was named 2013 Person of the Year by Time magazine – edging out NSA whistleblower and fugitive Edward Snowden into second place. Vatican spokesman Father Federico Lombardi said that ‘the Holy Father is not looking to become famous or to receive honours. 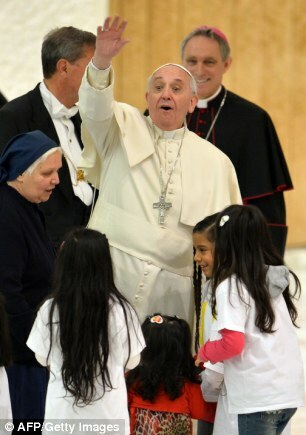 One particular image captured the humility and grace of the new Pope. The pontiff kissed and prayed with the ailing man who was battling neurofibromatosis – the rare disease said to have affected the Elephant Man. Patients suffering from the ailment, which is genetic and not contagious, are often shunned by society because of their appearance. 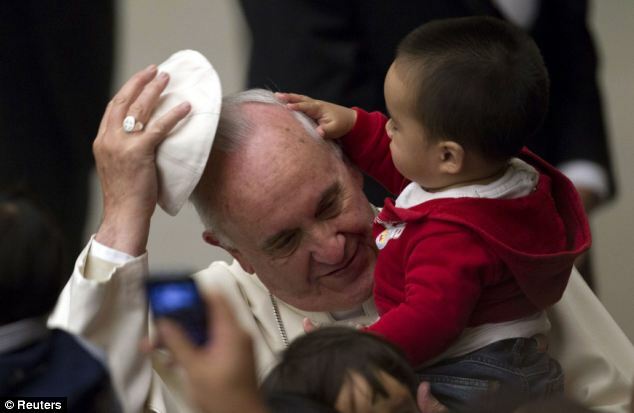 Pope Francis has been widely praised for his common touch and accessibility.